Many module providers are struggling with the IP protection issue by providing entire Board/Module design to the market. 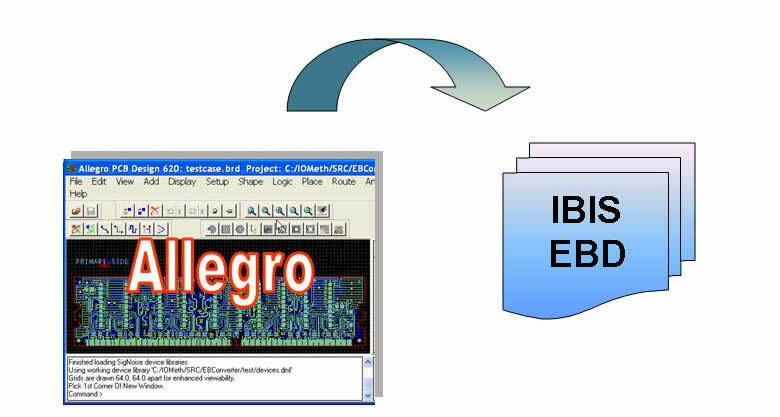 EBConverter™ provides a solution for converting Cadence Allegro™ Layout board to IBIS EBD Industry Standard Modeling Format (http://www.eigroup.org/ibis). Many module vendors often deliver their board designs to their customers for the high-speed system designs. There are risks for their IP protections as well as tool interoperability issues. IBIS EBD provides a standard (ANSI/EIA) modeling format to allow module vendors deliver the standard modeling format to their customers as well as protecting their IP in the module designs. 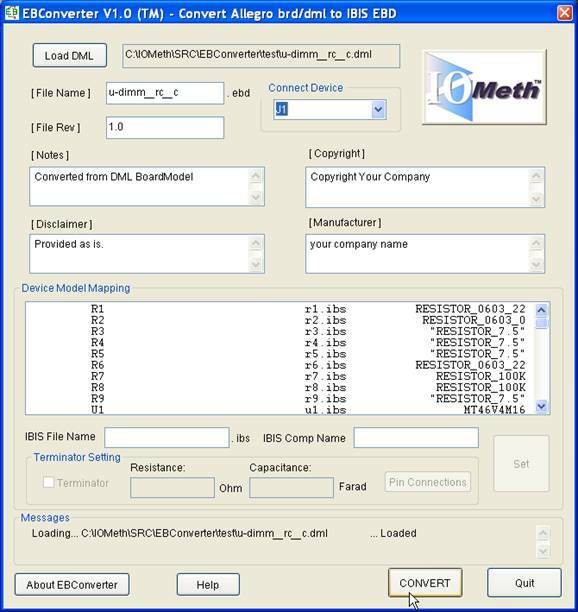 EBConverter™ is the most accurate EBD converter tool on the market. 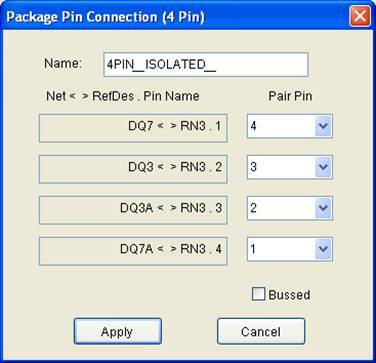 It automatically uses the embedded terminator solution in the EBD to provide complete extended netlist and generates IBIS Terminator models with power/ground connections according to the connections in the layout board.